Czech utility CEZ has closed unit 2 of the Temelín nuclear plant for equipment inspections and refuelling. During the outage, expected to last until early September, the turbine and of the safety systems will be checked and the circulation cooling water piping will be reconstructed. Overall, the technicians plan some 10,000 actions, according to the CEZ website. The most important work during the outage will be refuelling. In the first half of August, power plant technicians will load 48 Russian supplied upgraded TVSA-Tmod2 fuel assemblies. “In comparison with the previous type, the upgraded fuel has certain structural adjustments. The fuel assembly is more mechanically resistant, fuel pellets are of a different design, and there are also changes in the fuel cladding. Its use had to be preceded by a demanding licensing process of the State Office of Nuclear Safety”, explained Bohdan Zronek, member of the CEZ Board of Directors. At the same time, four containers with used fuel will be taken to storage. As to other work, “The turbine will be completely disassembled, and all three low-pressure turbines rotors will be brought to inspection and reconstruction of the fourth orbiting wheels to the manufacturers in Pilsen,” said Temelin NPP director Jan Kruml. Cleaning of intake piping and pools under the towers will take place. Also, reconstruction of the internal surface of the piping interconnecting the cooling towers with process equipment within the machine hall will begin. Some 1000 people will be involved in the outage works. The outage of Temelin 1 took place from the beginning of December last year till the beginning of March, it lasted 83 days and was completed six days ahead of schedule. 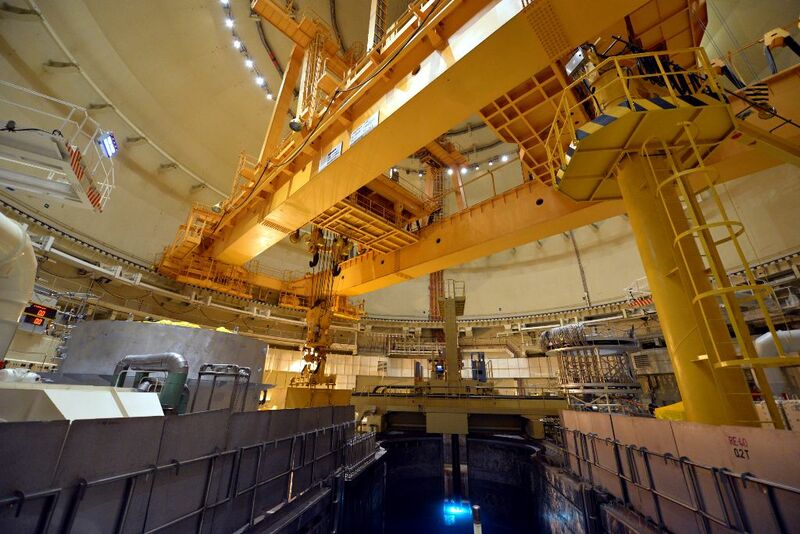 The Czech Republic has six nuclear units at the Dukovany and Temelín sites with an installed capacity of 3924 MWe. Nuclear power accounts for nearly one-third of its electricity generation, but this is expected to rise to between 46% and 58% by 2040.